In the coming years these small satellites (only a few inches across) are expected to fly to further-flung destinations such as Mars and one of Jupiter's moons, Europa. Permalink Submitted by xChaos on Thu, 10/29/2015 - 16:00. The pair of CubeSats will piggyback rides on the Atlas 5 rocket that is scheduled to launch InSight in March. Permalink Submitted by admin on Sat, 04/21/2018 - 19:23. 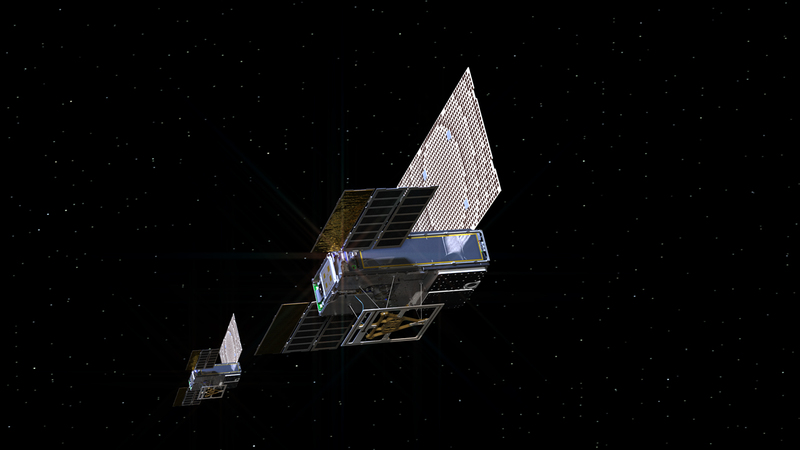 Jde o dva cubesaty MarCO(Mars Cube One) 1 a 2 a budou sloužit k testování komunikace via cubesaty až na vzdálenost k Marsu.